Cisco ASA presents self-signed cert in certain SSL negotiations – CSCuu02848 / CSCuw02001 | CCIE or Null! Just kind of a shout-out to those running ASA’s, be careful when you upgrade to v9.4+ or v9.5+, and beyond. 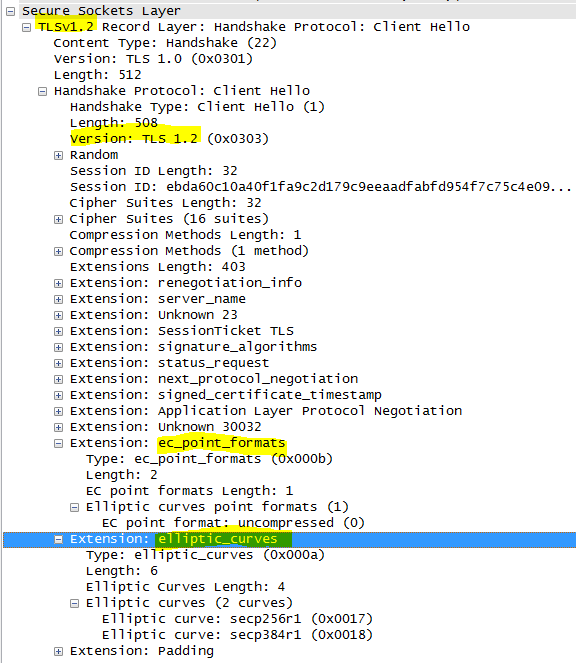 In v9.4+ when the ASA attempts to negotiate an SSL connection it will attempt to use an ECDSA Cipher as part of TLS v1.2 if the client supports Elliptic Curve ciphers. In this situation the ASA will present it’s self-signed certificate regardless of it’s configuration. Funny thing is, this is mentioned in the v9.4 release notes. However, it is not mentioned in the v9.5 release notes, so if you were to say upgrade from v9.2 or v9.3 and hop directly to v9.5 (A fully supported upgrade path) this could be something that creeps up on you. After all why you read through the release notes of release you are completely skipping! Direct Link to the bug can be found here. Of course the Browser Certificate error will be a dead giveaway but sometimes it’s nice to check. Be running an RSA only certificate for SSL negotiation. Happy hunting, I mean Labbing! « It’s been 5 years!! It seems that disabling the elliptic curve ciphers isn’t enough for the AnyConnect client to work. I’ve got an RA VPN configured using certificate authentication and whenever TLS1.2 is negotiated, the AnyConnect client complains that the user certificate is invalid. I can configure the ASA to negotiate unsupported ciphers with the AnyConnect client, forcing it to negotiate TLS1.1 – the certificate is then accepted. However the tunnel doesn’t come up, the client wants to bring it up with TLS1.2 and will NOT negotiate down. I’ve currently got a TAC case but they don’t seem to know how to fix it. ASA is 9.5(2)2 and AnyConnect 4.2.02075.